Next Tuesday, 4th March, is Shrove Tuesday this year. Traditionally, Shrove Tuesday or Mardi Gras (Fat Tuesday) is the day to use up all the rich foods in the house before Ash Wednesday and the start of the fasting season of Lent. It's also traditional to make pancakes, whether you take part in Lent or not, pancakes are a simple and delicious base for sweet or savoury toppings, so well worth using this annual reminder to cook some up. I've been reading this lovely book, Dear Francesca by Mary Contini. 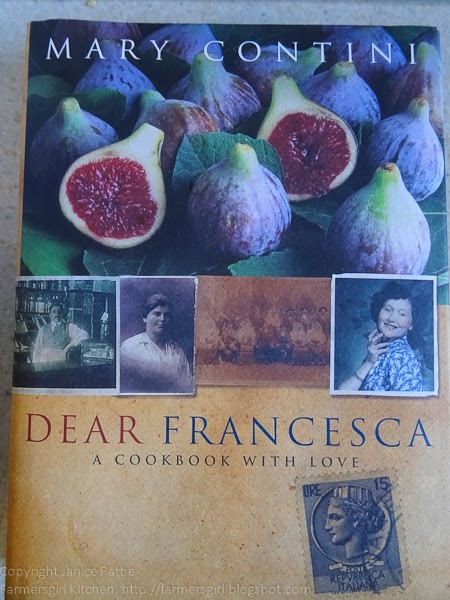 It is a cookery book but full of well written stories from Mary's Italian family roots which she has written to pass on to her daughter Francesca. Included in the book is a recipe for Crespelle or pancakes which Mary used to woo Francesca's father, it's a fairly standard pancake recipe although a little sweeter than I would usually make. Sieve the flour then simply mix everything together, you can use an electric whisk, liquidiser or stick mixer. However I put the flour into a large jug and added the eggs and milk gradually and mixed with a simple hand whisk (see the pictures above). I then added the sugar and left the mixture to rest. You need to do this for at least 10 minutes but I left it for a couple of hours as it suited me to make it early. When you make the pancakes melt a little butter in the pan and when it starts to sizzle add just enough batter to cover the bottom of the pan. Cook until it browns underneath (lift it up with a spatula to see) and it should bubble on the top. Then flip it over and cook the other side. I layered the pancakes up with baking parchment to keep them separate and covered with a clean tea towel. This is a perfect store cupboard dessert, most of us will have the ingredients for these dried fruit pancakes in our larder, just use whichever dried fruit you happen to have. I filled one batch of pancakes with a mixture of dried fruits, apricots, cranberries and raisins in some Walkmill Cider Apple and Amaretto Syrup (non-alcoholic), you can use orange juice or the booze of your choice. I warmed the fruits and syrup through briefly in the microwave and left them to soak up the juice for a couple of hours. Do this at the same time as your batter is resting and everything will be ready at the same time. 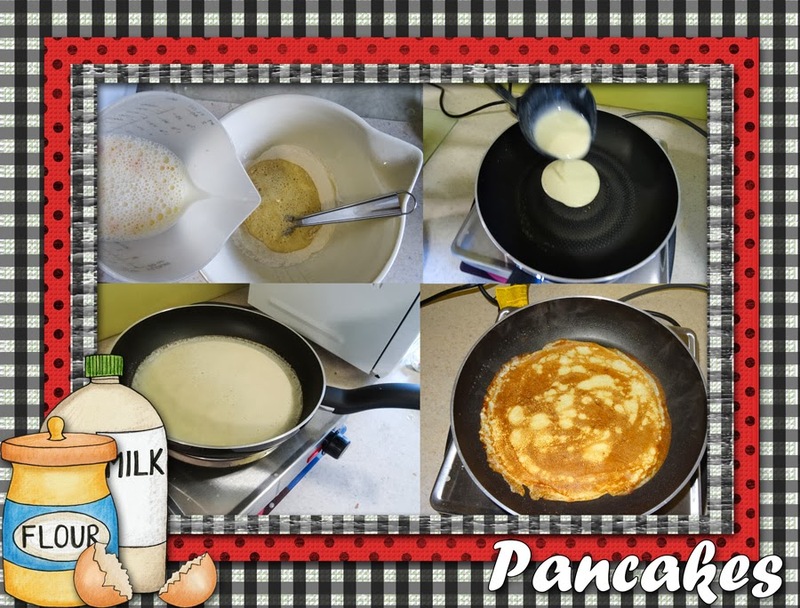 Fill and roll the pancakes and serve with cream or greek yogurt. I had three pancakes left over so decided to have them for our breakfast. I would normally grill my bacon but am operating out of a temporary kitchen due to the work that is going on in my kitchen, so I fried up the rashers in my Tefal Superior Frying pan then set to one side. I drained off some of the fat from the bacon and added a pancake. Then I broke an egg onto the pancake and swirled it about. Anyone who has been to Malaysia and eaten breakfast in a street cafe will have tried Roti Chanai (Pancakes with a curry sauce) but for added protein you can have Roti Telor. All that means is that an egg is broken on top of the pancake, it was my husband's favourite when we visited Malaysia in the 1980s. Before the egg is cooked add the bacon. I found that I had to flip the pancake over to make sure the egg was fully cooked and to enclose the bacon in the pancake. There was only one thing missing...Maple Syrup! Unfortunately, it wasn't something that I put in my temporary store cupboard, so we had to do without. 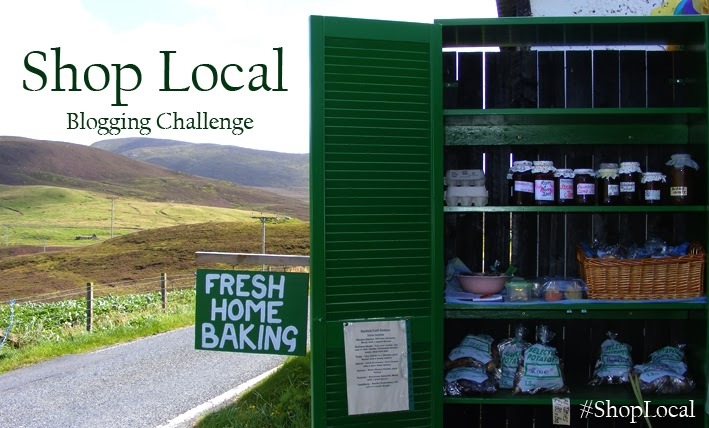 I'm entering both recipes for Shop Local, the blogger challenge run by Elizabeth's Kitchen Diary to highlight the great products available in our local area. Walkmill Cider products are available at my local farmers market and the eggs I used in the pancakes and on the pancakes come from a local farm. I'm also adding this to Credit Crunch Munch as both are cheap, cheerful and filling. CCC is the blog challenge of Fuss Free Flavours and Fab Food 4 All and this month is hosted by My Golden Pear. 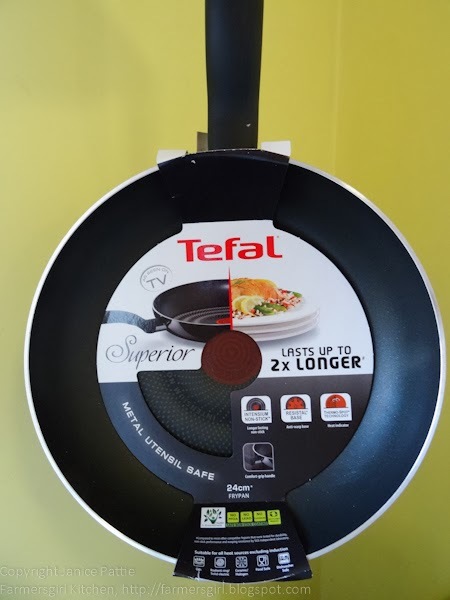 I was provided with a Tefal Superior Fry pan, I was not paid for this post and all opinions are my own. My husband and I have this ongoing 'debate' about pancakes. I think pancakes have to have a raising agent while he thinks crepes (without a raising agent) are pancakes. It's always amusing every time I make 'pancakes'! :) These look fantastic and I love the idea of wrapping the pancake around the bacon. Too bad you didn't have any maple syrup! Hopefully your kitchen refurb won't take too long now. Thanks for linking up with #ShopLocal and the #NoWasteFoodChallenge! It's so easy to forget that a few simple basic ingredients can be so versatile and so tasty. I love the idea of adding a curry sauce - it's a new one for me. Thanks so much for taking part in Credit Crunch Munch. 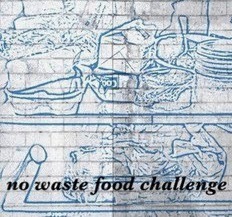 Oh thank you for entering the No Waste Food Challenge - I am a really bad guest host I'm just not keeping up!